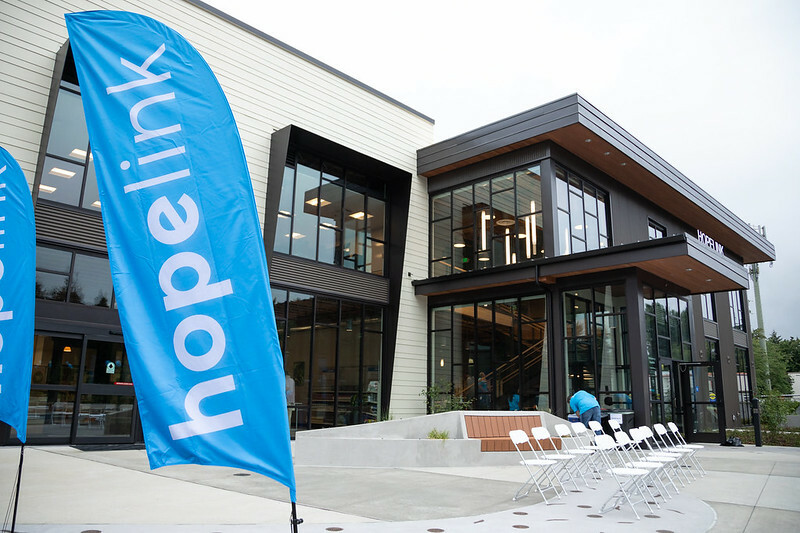 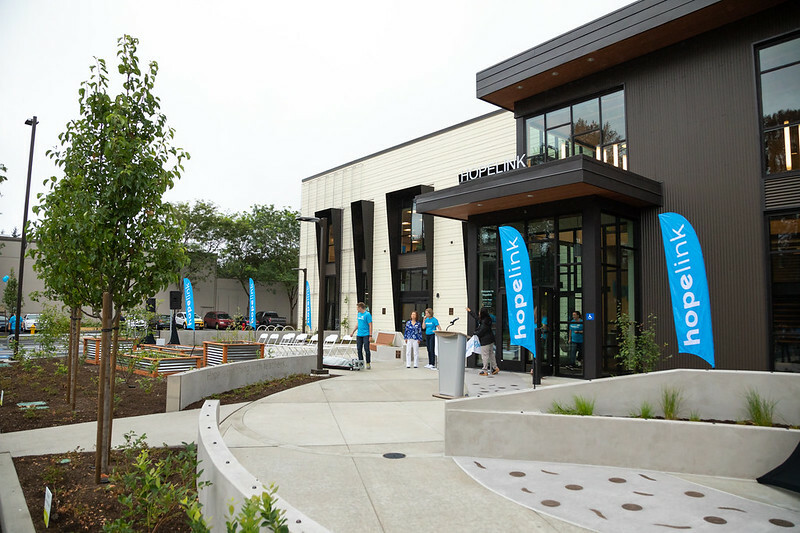 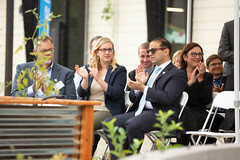 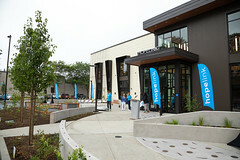 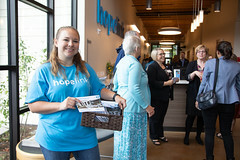 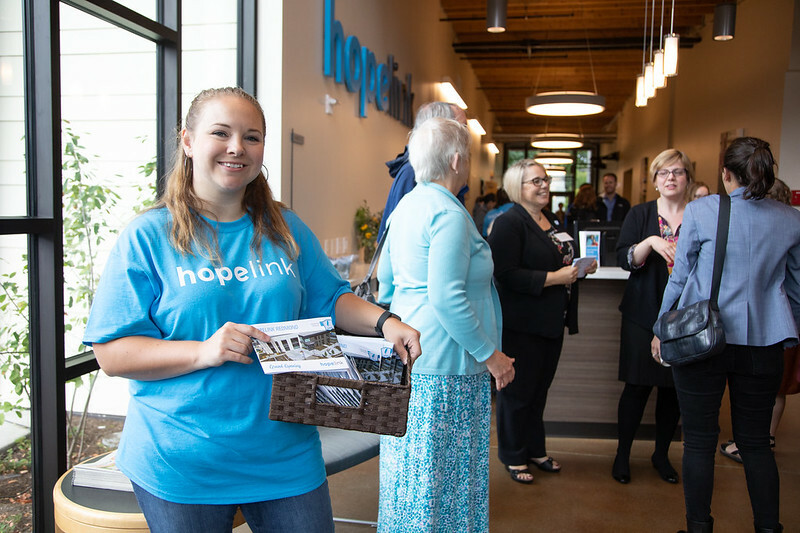 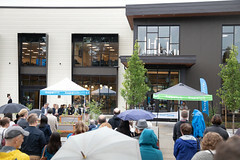 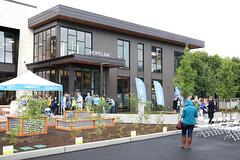 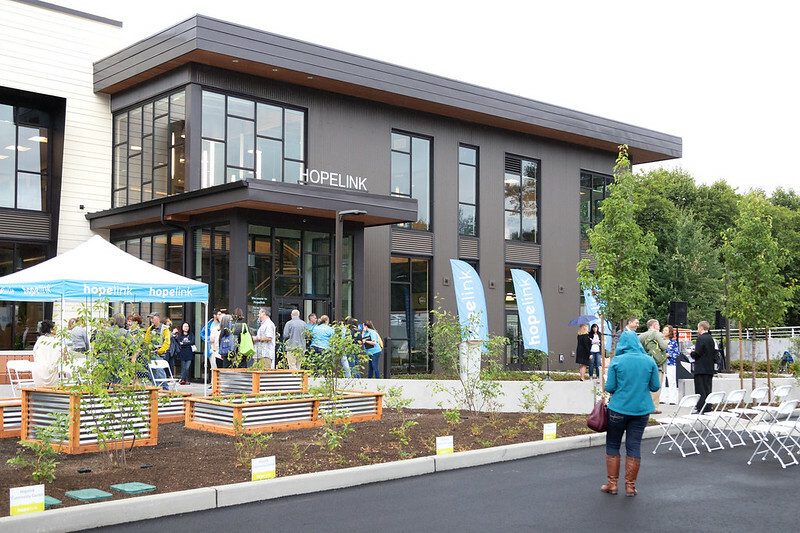 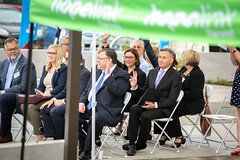 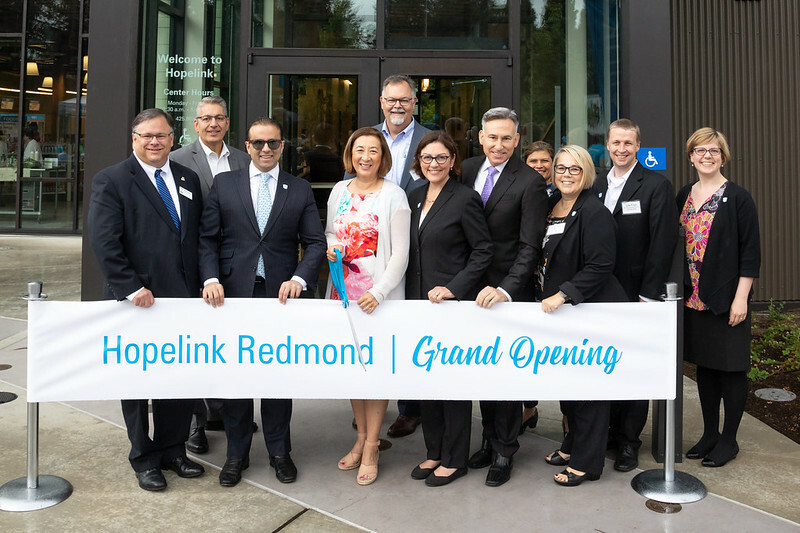 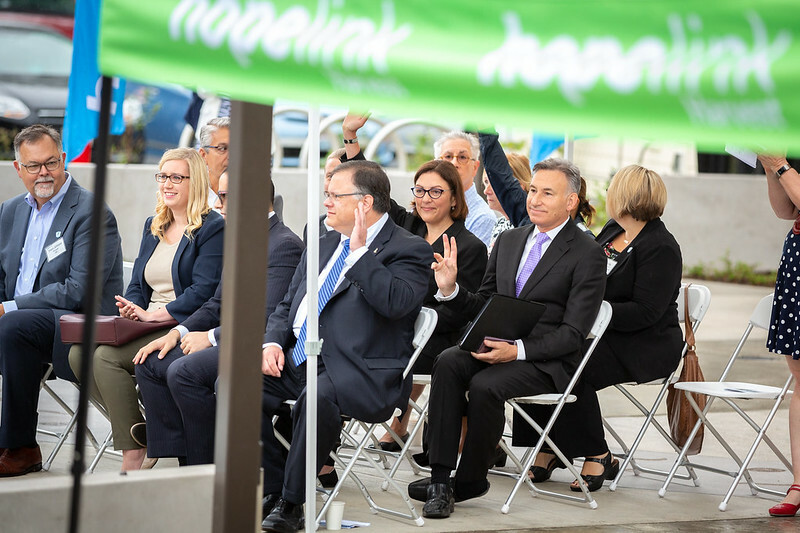 Hopelink’s newest facility is the permanent home for the critical services we have provided to residents of the City of Redmond since 1990. 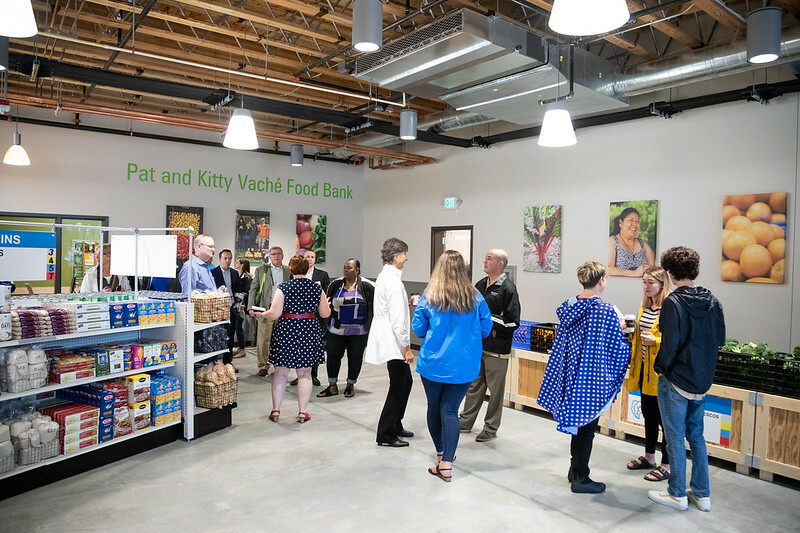 Our services include assistance to help households stabilize from the crisis of poverty, including food, financial assistance and heating assistance. There are also skill-building opportunities designed to give participants the tools they need to exit poverty, including case management, employment services, GED classes, English for Work classes and financial coaching. 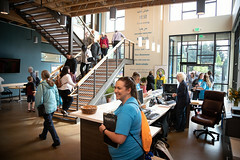 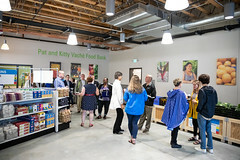 This new location reunites our administrative offices with our Redmond client services staff and our Redmond food bank, enabling us to continue to provide essential services to those in need well into the future. The courtyard entryway to the new Redmond center features a stunning, permanent bronze display inspired by the Emily Dickinson poem, “’Hope’ is the thing with feathers.” Designed by Judith and Daniel Caldwell at Caldwell Sculpture Studio, the river of feathers and medallions includes the word “hope” in the many languages spoken by Hopelink clients, as well as the names of many who are helping us build this center.